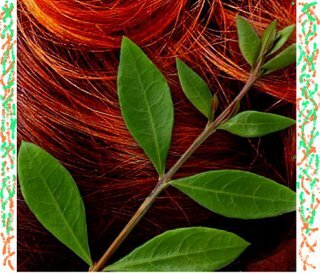 HENNA PLANT is a traditional herb which has been used variably worldwide since it was discovered and now in the modern era has been transformed into various forms to suit our hair care & coloring and body decoration needs. Use of Henna began thousands of years ago in some parts of the world, but today Henna products have made their presence worldwide. HENNA LEAVES have a very pleasant fragrance and has medicinal properties. The leaves are picked, dried and pulverized into a fine power. Henna prevents premature graying of hair and is used for hair nourishment, making the hair shiny and smooth. Henna plates and protects the hair shaft while acting as a cooling agent for head. 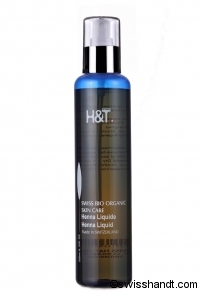 Swiss H&T Henna Shampoo & Spray do not color your hair, but they add a beautiful shine and body. A mild formula for all hair colors and types. Detangles, softens and shines hair. Henna Shampoo & Spray of Swiss H&T are not tested on animals, they are cruelty-free and contain no color and no animal ingredients. You will love it if you try our henna hair care products. They make your hair stronger and give it a beautiful shine. Effective against oily or dry seborrhea (dandruff). Avoids hair loss, strengthens the scalp and reduces brittle hair and split ends. For your hair care, use the Henna Shampoo which is an absolutely natural product. Pour it on your hair, massage energically and let it take effect for 5 minutes. A last rinse with vinegared (1 to 2 tea spoons) water and you will get a healthy and shiny hair. Effective against oily or dry seborrhea (dandruff). 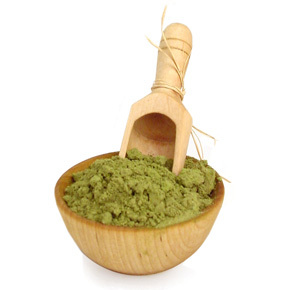 Avoid hair loss, strengthens the scalp and reduces brittle hair and split ends. For your hair care, use every morning our liquid Henna. Rub your hair down to make it take deep effect. Dry and brush. The role of silica in human physiology is essential. It is among the 12 major components of our organism that contains about 7g or it (that is, the double over iron). Our silica daily need is quite high: 20 to 30 mg per day. Diet influences directly the satisfaction of this need. The consumption of too refined products and our too low natural reserves explain that we are so easily in a deficiency condition. 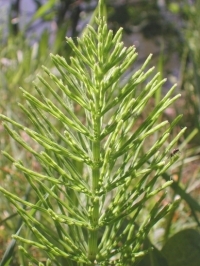 Horsetail is one of the oldest plants on our planet, though its chemistry is certainly of the most complex and richest that can be found in the Plant kingdom. Our laboratories have naturally selected it as one of the major elements of the composition of its products. Actually, the high silica content of Horsetail makes of it an exceptional plant of choice. In addition to some number of organic components (flavonoids, saponosids and glucids), 15 mineral elements (metalloids adn metals) are most often present as oxides in Horsetail. As regards silica (SiO2), it is in a soluble form and deserves to be cited on its own: a rigouroulsly conducted study has allowed to show its distinguishly positive role in the reconstitution of bone tissues. Is also contributes in a decisive manner to the health of phaneres (nails, hair), to the one of teeth (particularly for enamel), as well as to the maintenance of the qualities of skin elasticity and strength. According to some authors, it would constitue a major defence mean of the organism against external agressions and degenerative processes. No chemical handling is used to obtain Horsetail silica. Nebulization occurs at the end of the aqueous extraction process, assuring a maximal conservation of the horsetail active principles, and consequently of its original properties. Horsetail silica contributes efficiently to the health and tonus of hair. It is naturally associated with this washing base to perfect the maintenance and hygiene of hair and scalp. Perfectly adapted to a daily use, its very soft neutral formula is also indicated for an intermediary use with another specific treatment care.